Your code is not working is a Daily Battle which I think we all deal with. But that's the best way to learn and become expert. You may read many books on technologies but you can't remember everything. But practical exposure and solving different error will always stay in your mind. 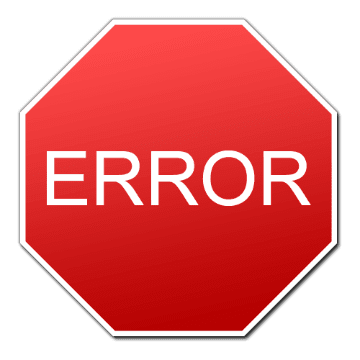 So in this post, we will see how to handle errors in jQuery. It can be syntax errors, coding error, typo, errors due to wrong input, common mistakes and many other things. When an error occurs (if not handled), further execution of code is normally stopped, and an error message is generated (which is visible in status bar or console of browser). So it is best practice to always handle the errors. Or at least you must handle the error for those code blocks which are error prone. To handle errors, you can use try...catch...finally with jQuery. Put your code within try block and the catch block will catch the error, and executes the code written in catch block. The syntax is quite simple. The try block must be followed by either exactly one catch block or one finally block (or one of both). When an exception occurs in the try block, the exception is placed in e (argument passed in catch block) and catch block is executed. The optional finally block executes unconditionally after try/catch. Lets see an example. Below jQuery code performs divison of two variable iNumber1 and iNumber2. But in the alert statement, variable name is worng (typo, common mistake) which will produce an error. So in this case, the catch block code will get executed, as try block throws an error. Remember catch block will get executed only when there is an error thrown by try block. Along with try/catch block, there is one more option available which is throw statement. The throw statement allows you to create a custom error. It is like throwing an exception and catch block catches it. So in this case, based on the result of division different error will be thrown and displayed to user. return true; // The exception is handled, don't show to the user. The "onerror" event handler can also be attached with image tags. The jQuery version of "onerror" handler is ".error()". For example, when the image is not loaded properly, you can use error handler on images to handle such images. Read "How to handle broken image using jQuery". error event may not work if you are testing it using file:// protocol. Instead, host it on web server and access using HTTP protocol. So the best practice is to always handle jQuery errors and exception so that it doesn't interrupt page loading.